If you have any doubt hat cloud data services are here to stay, think about how many clouds you use for your personal data. Do you have data storage account with a service like Dropbox, iCloud or Mediafire? Do you back up your computer with Carbonite or a similar service? How about storing music files with Google? If you're like me, you have a whole sky full of clouds hovering over your head. And it's no different in the business world. The 2014 Cloud Computing Adoption Survey, sponsored by Ostrato, found that 65 percent of businesses say they have implemented more than one cloud service and that 88 percent of respondents are planning to increase their usage of cloud computing in the next twelve months. 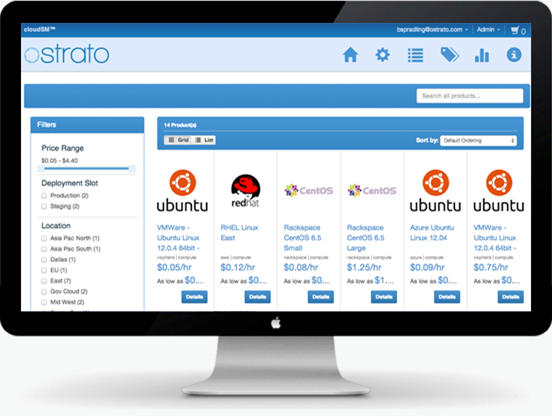 Providing tools to manage those multiple cloud services is why Ostrato is in business. The company created a cloud management platform that helps customers govern and embrace heterogeneous cloud services through a single user interface. "It’s critical that enterprises have effective financial visibility and controls in place" to govern cloud usage and costs, said Ostrato CEO Jay Chapel in announcing details of the cloud computing survey. For more information on Ostrato and its cloud-management products, visit the Ostrato website. You can also read more about the survey in this press release.